Hi Friends! Welcome back to the blog! 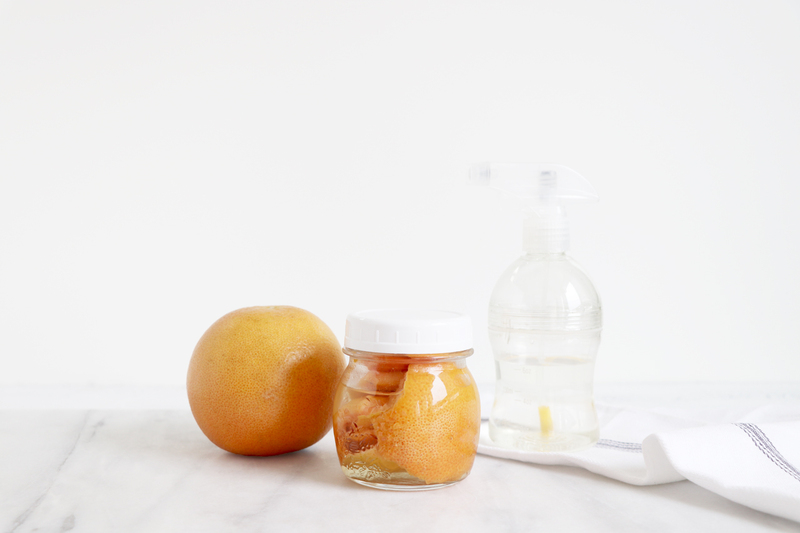 Today we are sharing with you how to make a DIY Grapefruit Multi Purpose Cleaner that is the perfect addition to your household cleaning products! Peel grapefruit and stuff the peels into a glass jar. Add lid on top of jar and let sit for 2 weeks. Fill spray bottle with equal parts filtered water & infused vinegar. Use as multi purpose cleaner around the house!